If you’re looking for some new tyres in Bradford, Bingley, Baildon or Shipley, call us at Drive in Service Centre. Our prices are low - indeed, we think our prices are hard to beat in Bradford and we can fit new tyres from as little as £19.99 per wheel. 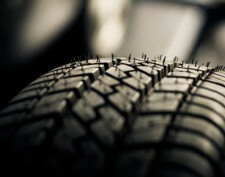 We offer a range of tyres for cars, vans and 4x4s and all at low, low prices. We are sure to have the tyre that will suit your requirements and we’ll remove and dispose of your old tyre after we’ve fitted and balanced your new one. Of course, being one of Bradford’s premier car service centres, we offer a full range of vehicle services from MOT testing, clutch and brake repairs, shock absorber and suspension repairs and full engine diagnostic services. Whatever your car needs, call us and we'll give you a fantastically low price. Don’t delay, call us now on Bradford 01274 794991 for a competitive quote on tyres.